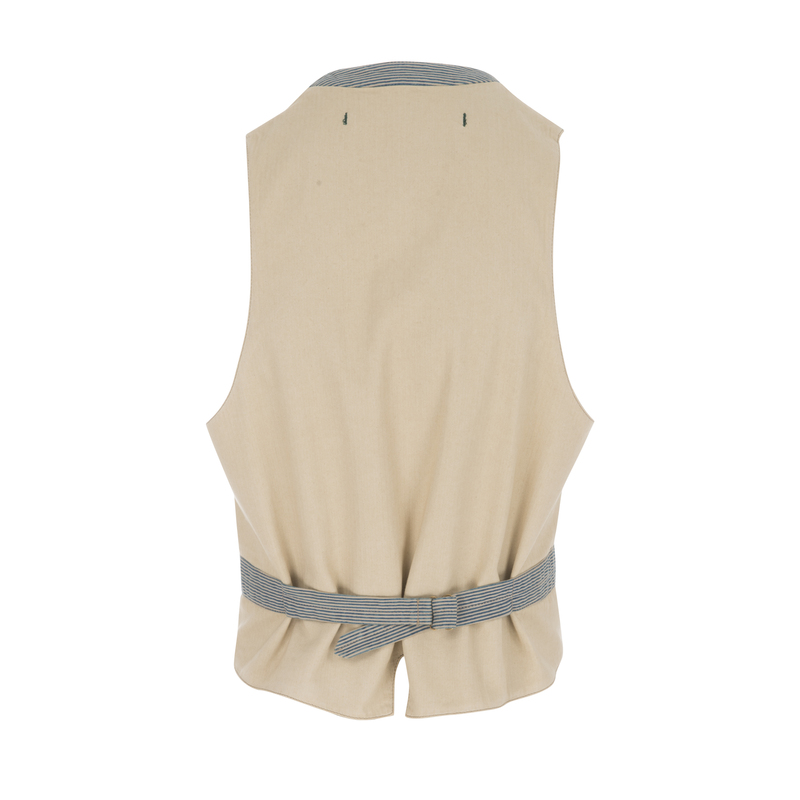 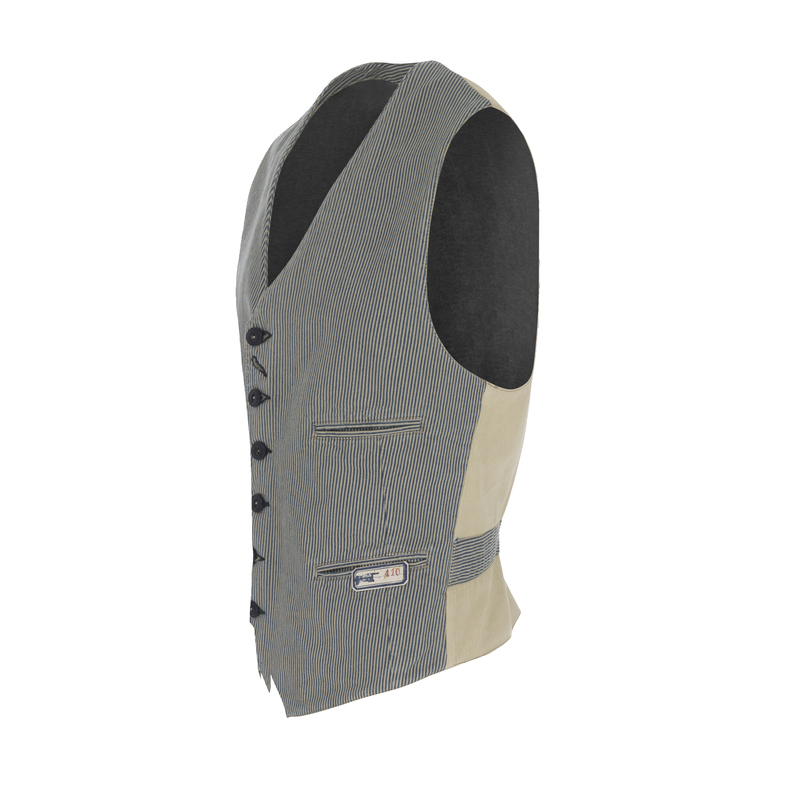 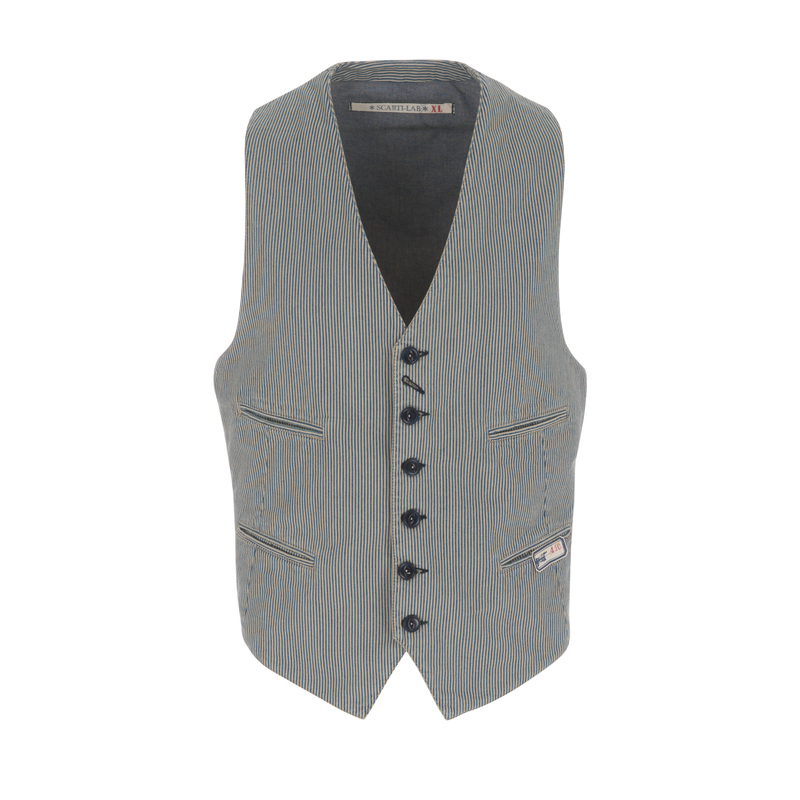 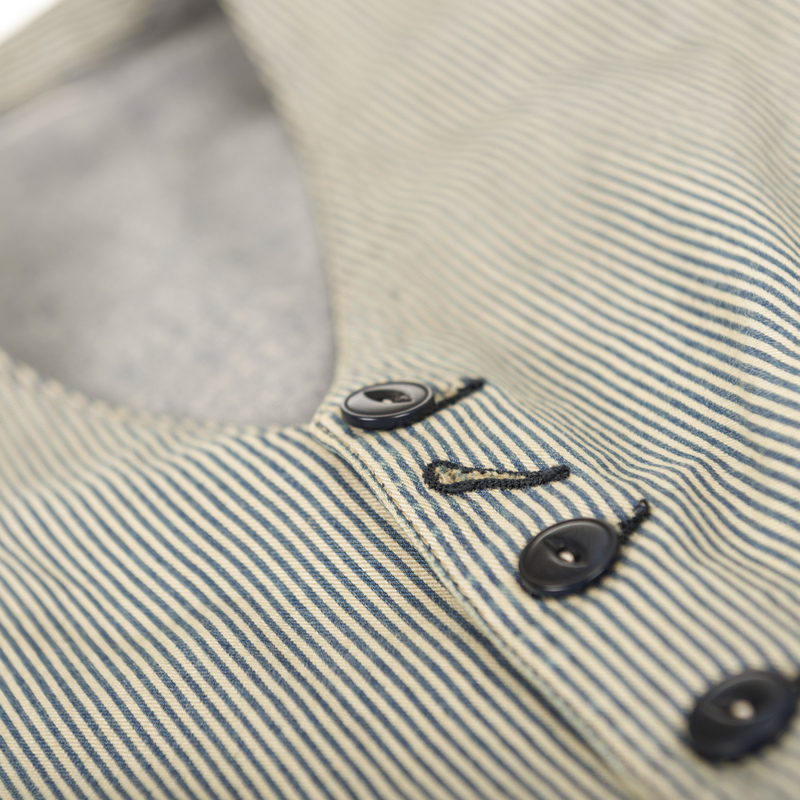 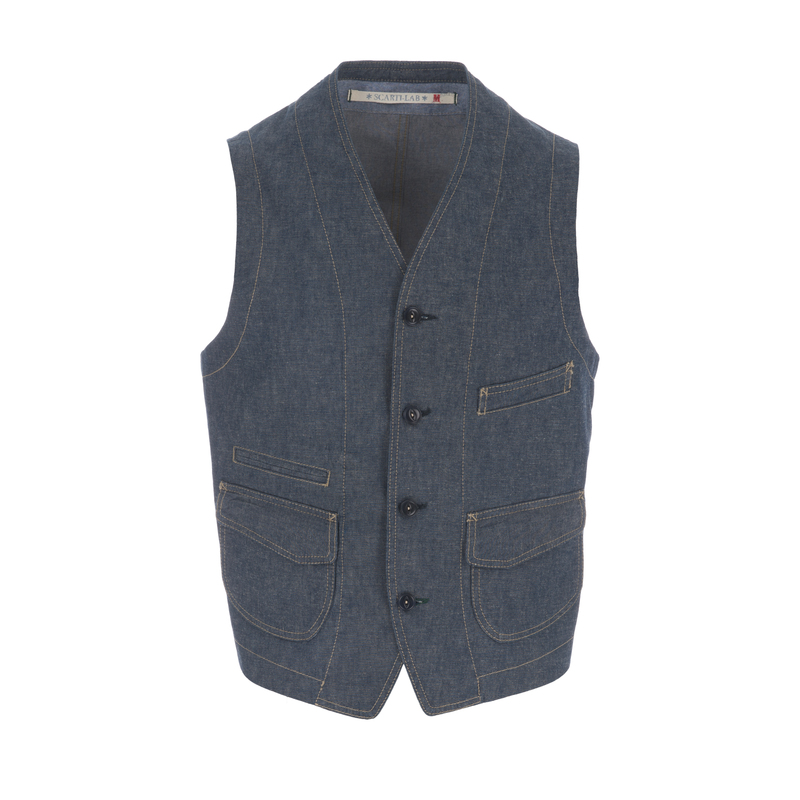 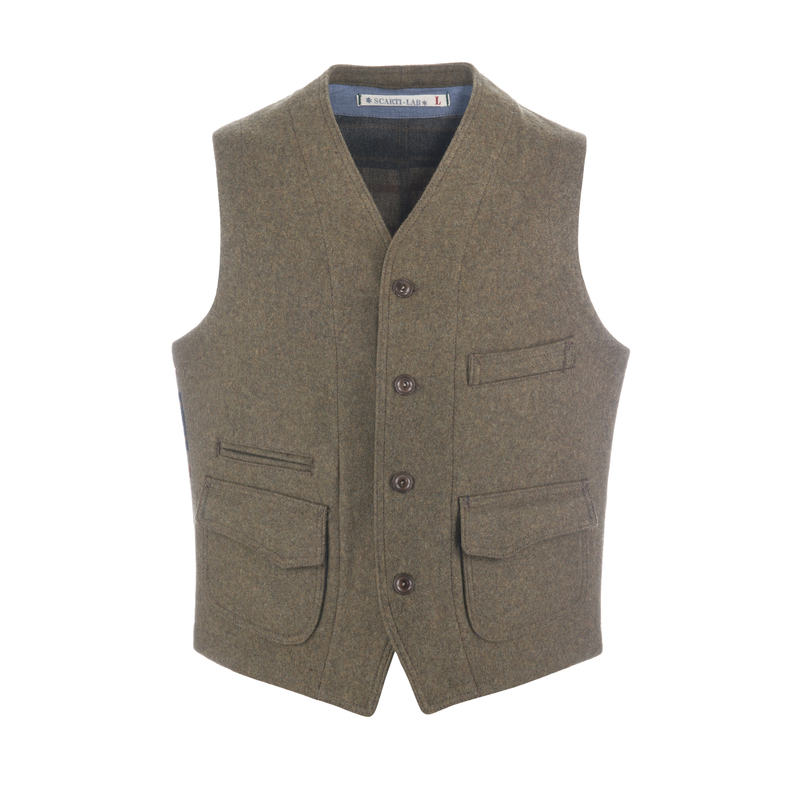 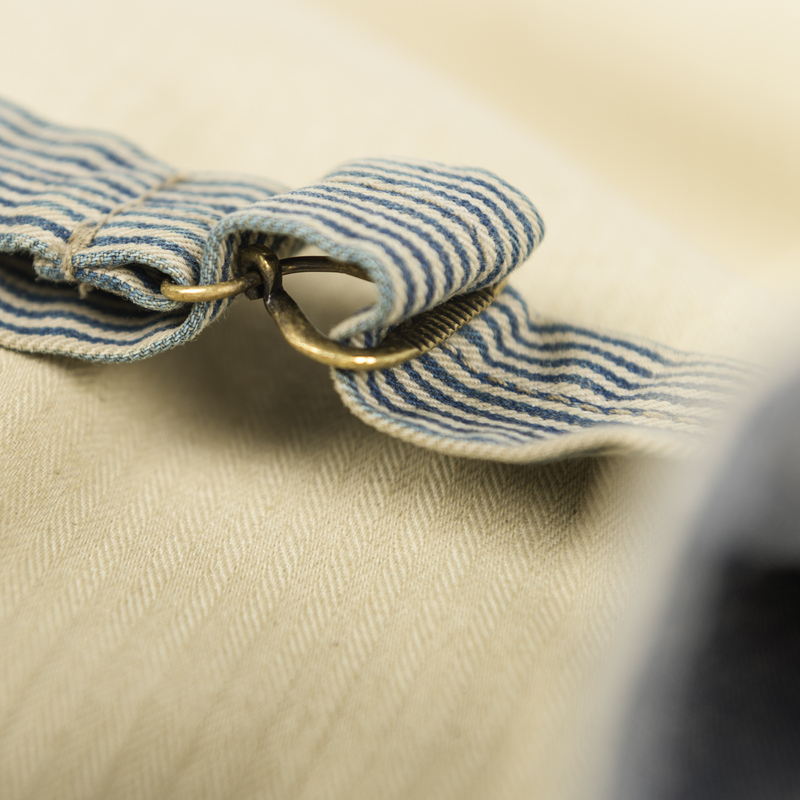 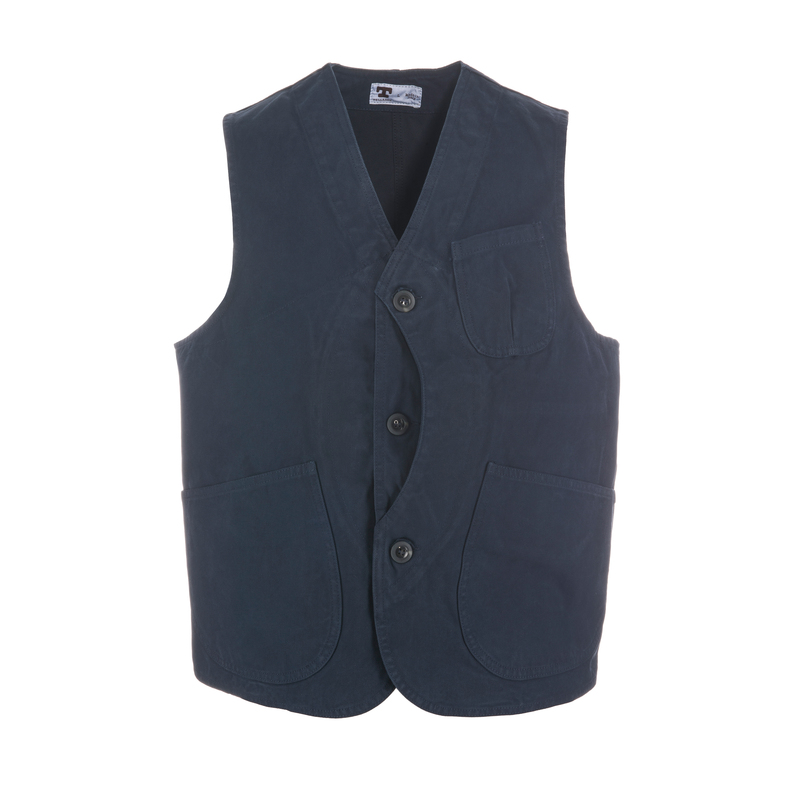 Classic elegant but cool striped waistcoat made of 100% cotton with nice dark navy corozo buttons produced in Bologna, Italy. 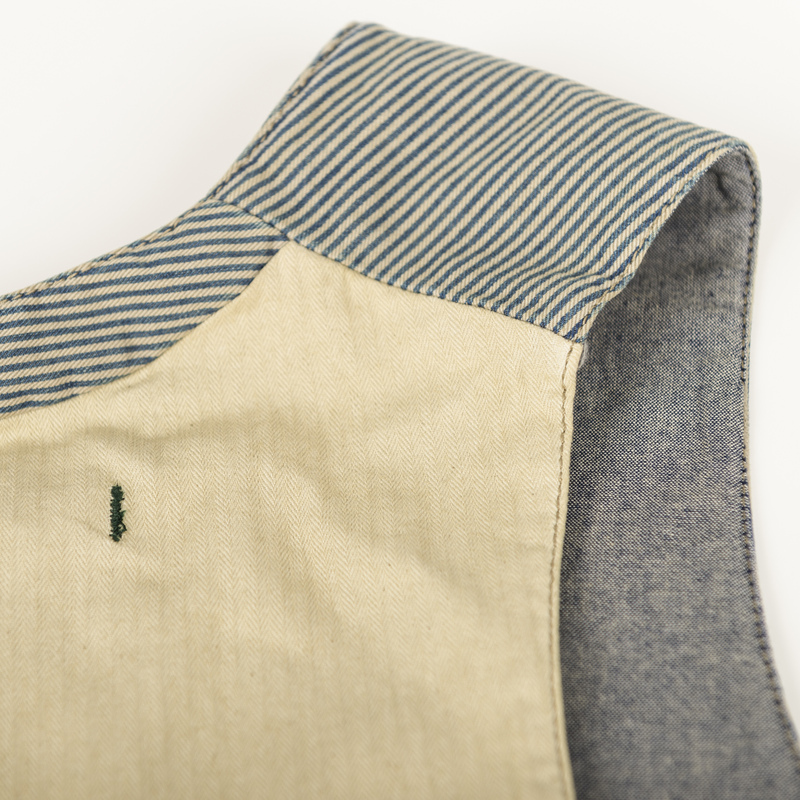 The back natural white with a contrast striped dark blue/tan cinch back and a large vent. 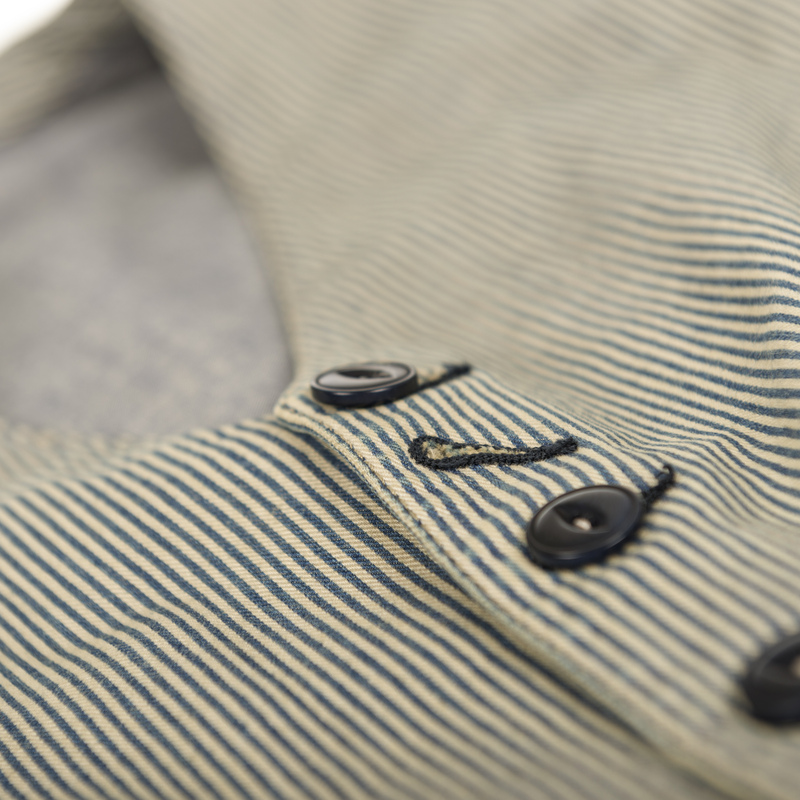 Four insert pockets on the front.